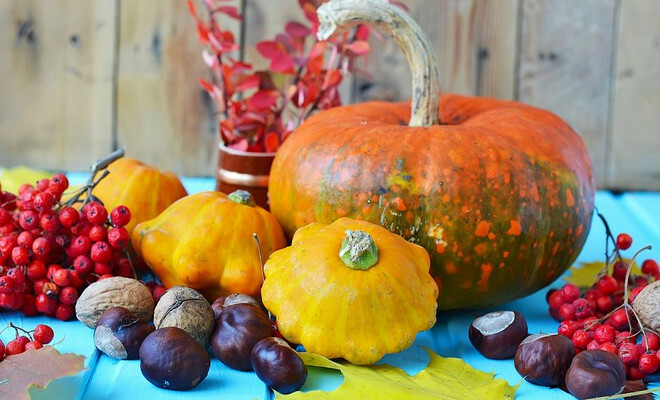 9 ideas for quick and easy natural fall decorations and crafts! The crop has already been harvested, and all the fruits of our labor are evident: potatoes, carrots, cabbage, apples, pears and much more. What will we do with all this? We’ll pack it up for winter. 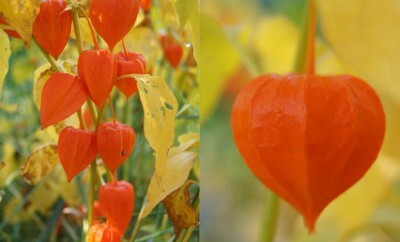 But this is not all: the crop can be used in the design of the interior! Everything that has grown up in your garden is useful for decorating a country house and even a city apartment. Probably your first thought is about large dishes filled with vegetables and fruits and arranged around the house, or about bunches of onions and garlic in the kitchen? We will show you other ideas for natural fall decorations, which allows you to create interesting effects in the interior. 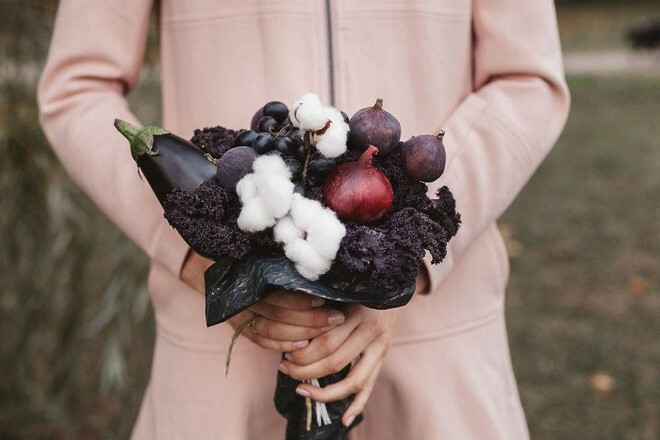 You can use not only vegetables and fruits, but also leaves, flowers, seeds … And they are all accessible even to those who have never been engaged in decorating and can not draw, but would like to decorate the house stylishly and inexpensively in the autumn. Do not doubt the result: You will definitely succeed! Do you want beautiful furniture, unusual curtains and original accessories for a holiday home? 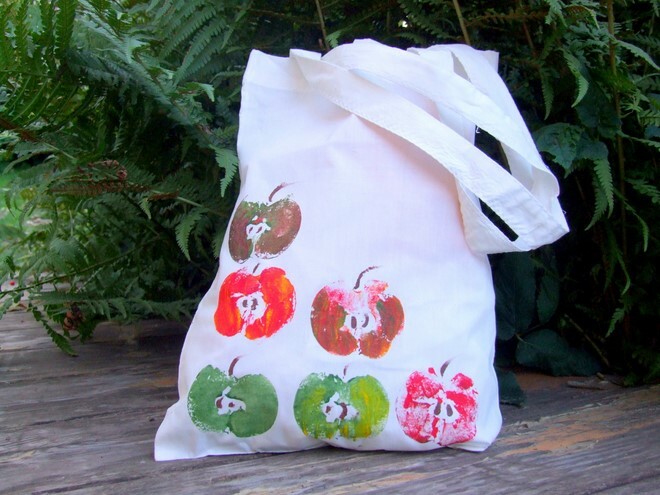 Then create prints using fruits and vegetables – directly on textiles, glass or wood. It’s very simple! Pick any fruit, it should not be very juicy. So, cherries don’t suit, but apples are perfect. 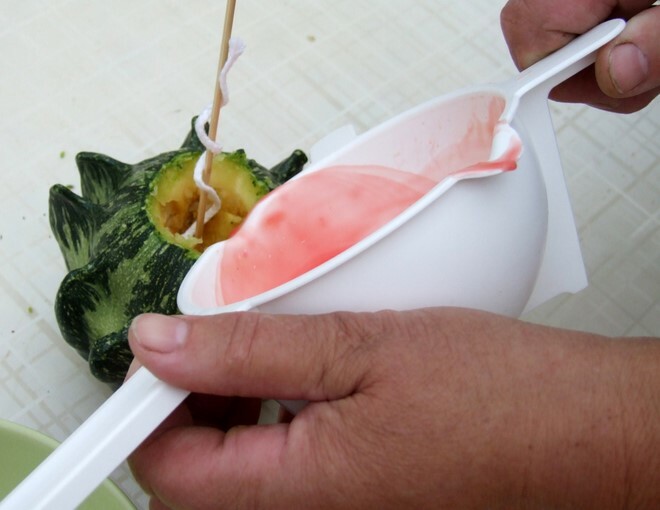 The concept is the same: vegetables or fruits are cut in half, these halves are painted, and then they are used as stamps. Just need to press harder to the surface and successfully choose the colors, of course. 1. Gather several small apples and cut them into halves. 2. 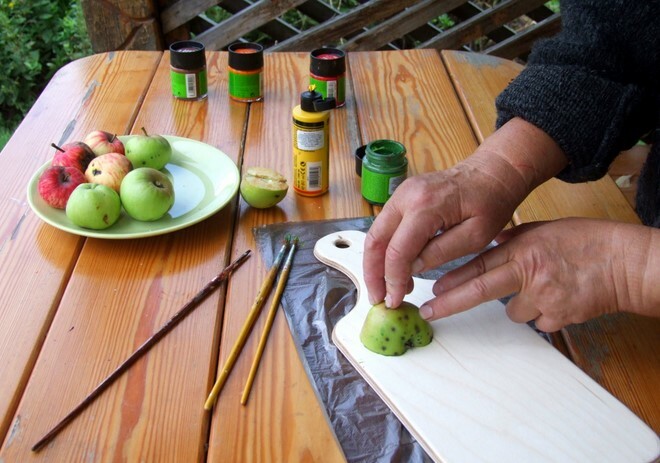 Prepare the acrylic paints – green, yellow, red. The colors are poured into the lids from the cans or on a plastic plate. 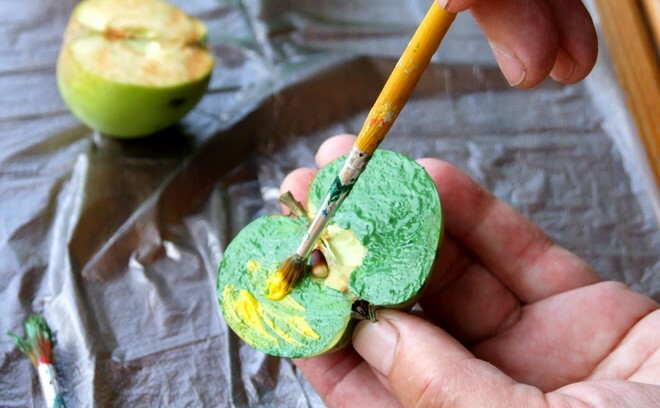 Using a paint brush apply several colors alternately on one apple half. 3. 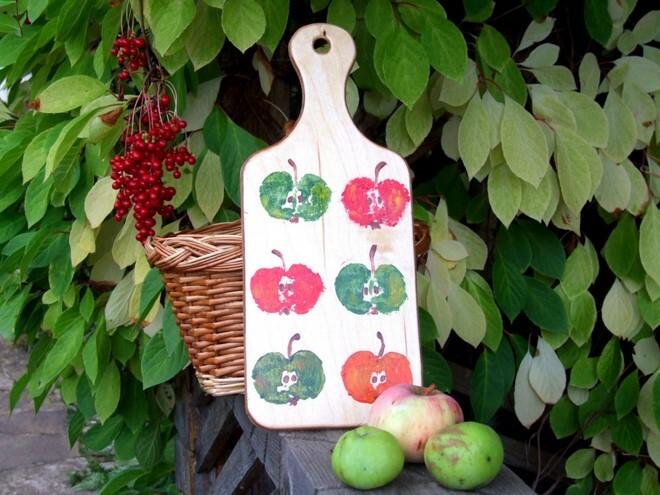 Strongly press the apple down onto the wooden board and remove the stamp. An imprint appears on the board. In the same way, create any composition from prints. Here the best option is to arrange them in 2 rows. 4. 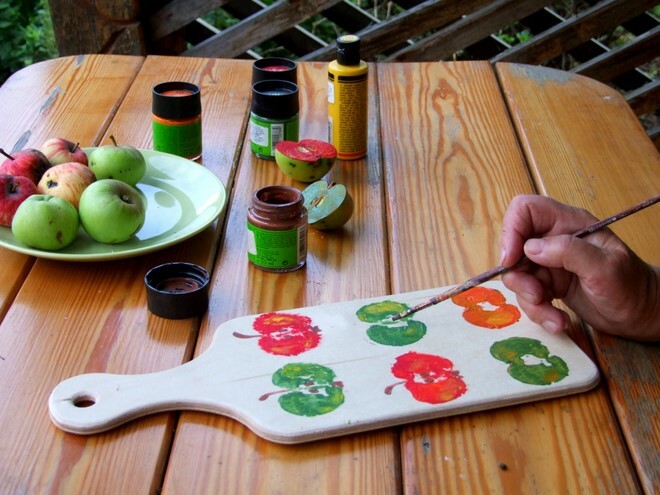 Now you can take a thin brush and paint the seeds and stems with brown paint. 5. 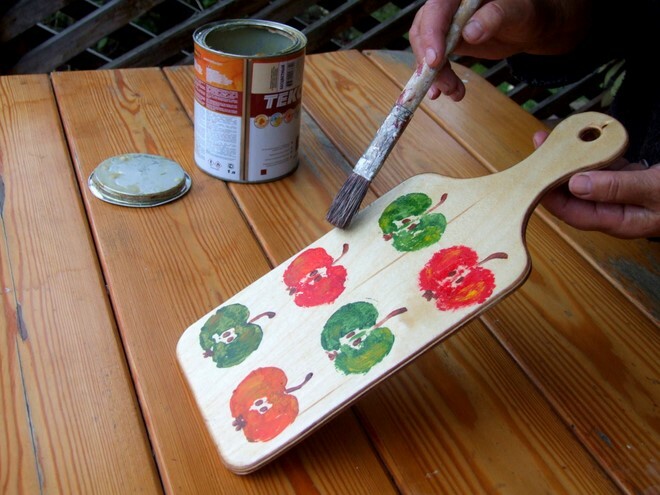 When the paint dries, you need to seal it with a decorative varnish. In the same way, you can decorate cabinets, tables and any other objects, including fabrics – curtains, tablecloths, napkins, pillows, tote bags etc. Important: for the fabric you need special paints, which are then fixed with an iron (the fabric is ironed from the wrong side for 3 minutes), so that the finished product can be washed. 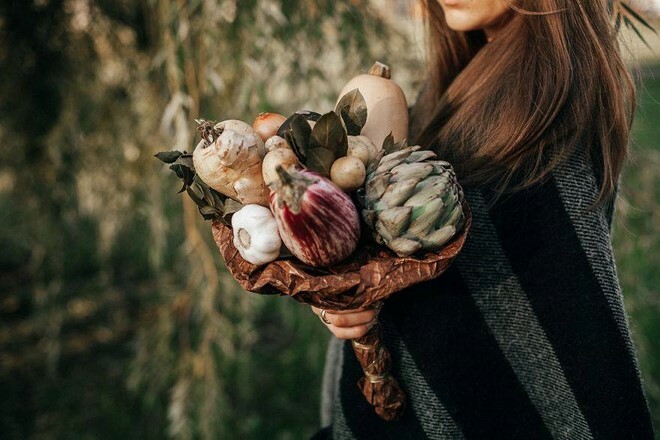 Bowls and trays filled with fall vegetables and fruits are beautiful. But too familiar and standard. 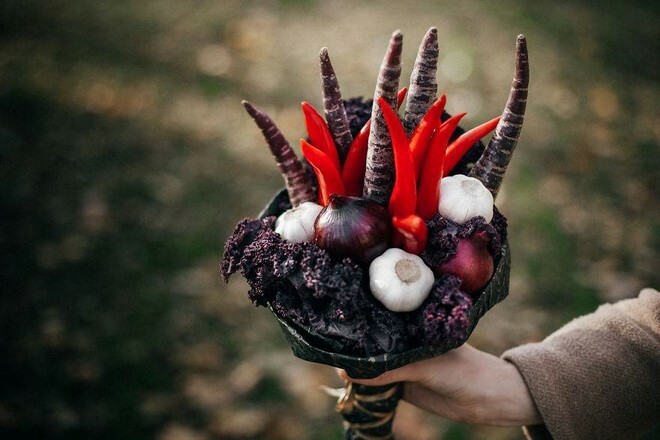 What if you make bouquets of vegetables? For this you will need wide and not too high ceramic vases. Vegetables are put in the vase in about the same way as if they were flowers, but between them you can really add cut flowers. 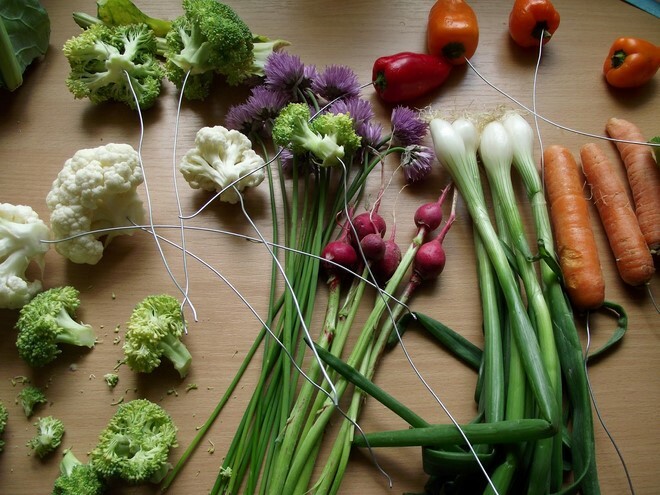 For some vegetables like cauliflower and broccoli rosettes you can use a wire to make a “stem”. 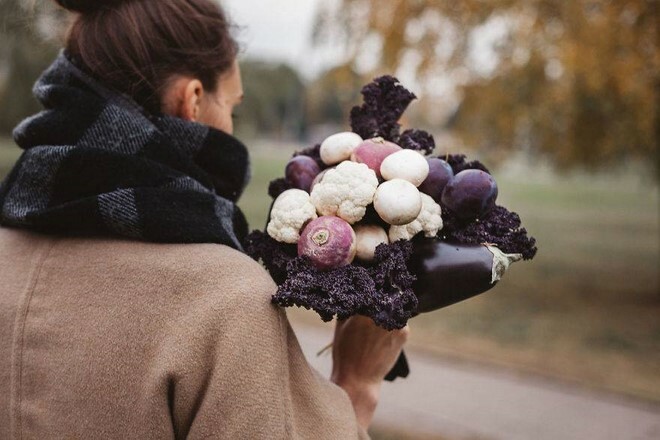 And what else can you use for edible bouquets, consisting of vegetables and fruits? The choice is huge, you can use products such as: avocado, lemon, radish, artichoke, grapes, apple, garlic and rosemary, cabbage, carrots, kale, chili, onion, garlic, kiwi, ginger, eggplant, figs, or even pineapple, lime, grapefruit and sage. An hour, a maximum of two, is enough to create such a masterpiece weighing 2-3 kilograms. 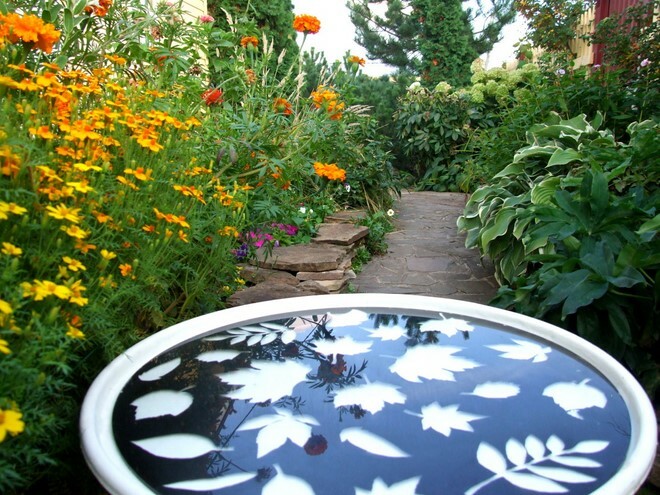 For stencils, leaves with a complex and beautiful shape are best suited. 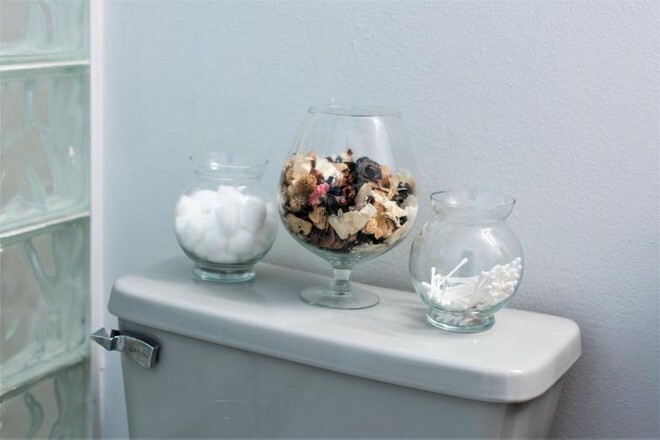 They can decorate vases, chairs, cabinets, countertops etc. Simply moisten the leaves with water, “paste” them (all with the same water) on the surface and quickly paint it all with spray paint. After 2 minutes, remove the leaves. And here you have a wonderful stencil with prints of real leaves. 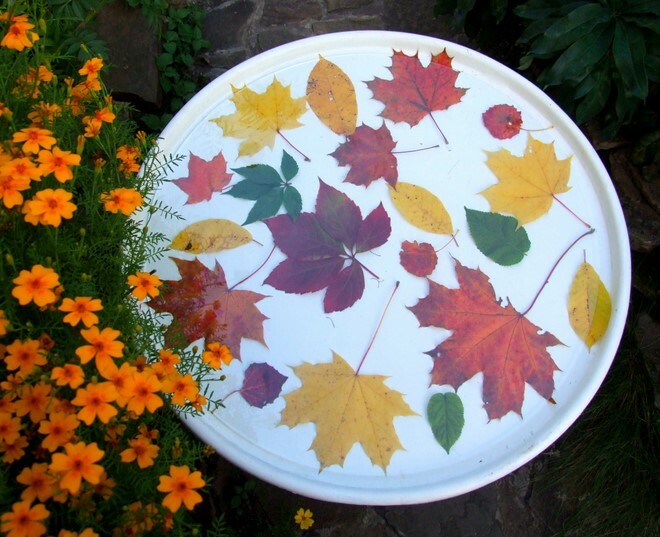 In this version with herbarium of autumn leaves (you can dry them with an iron) you can benefit from their beautiful bright colors. 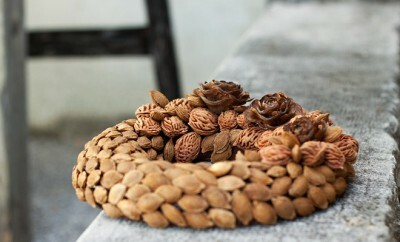 Just arrange them on a table top and press on top with glass cut out in the same size and shape. The advantage of this method is that you can always change the “arrangement”. • First, with a pencil, divide the frame into segments of a simple shape – rectangles, squares, strips. 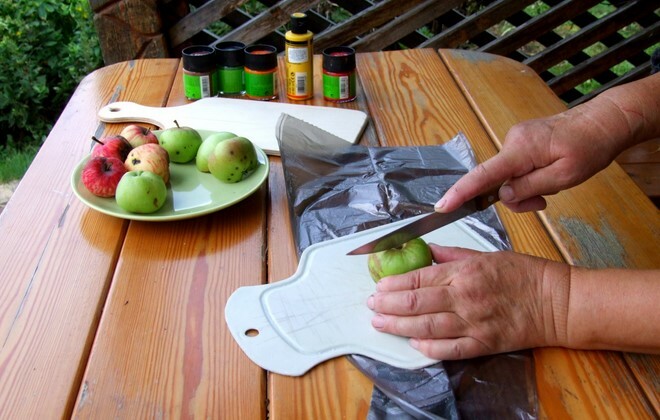 • Then apply a layer of glue to any segment. 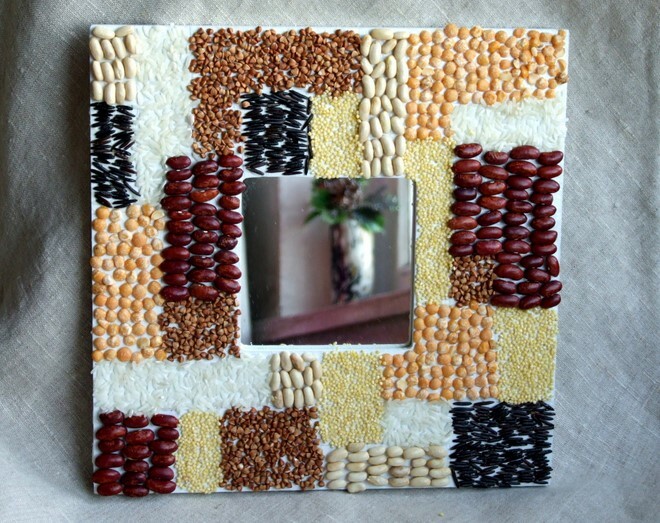 • Take seeds or legumes of one of the species and spread (if small, then pour) on the glue. Align them close to each other. • Proceed to the next one and repeat the previous step. • Step by step fill all segments of the frame. Just make sure that there are no identical ones. • The finished artwork is covered with non-aqueous lacquer (it provides good safety even at high humidity and protection from pests). Very unusual version of the decor. But the crop in this case is not used directly, but plays an auxiliary role. Select beautiful and large leaves – the larger and more expressive, the better. 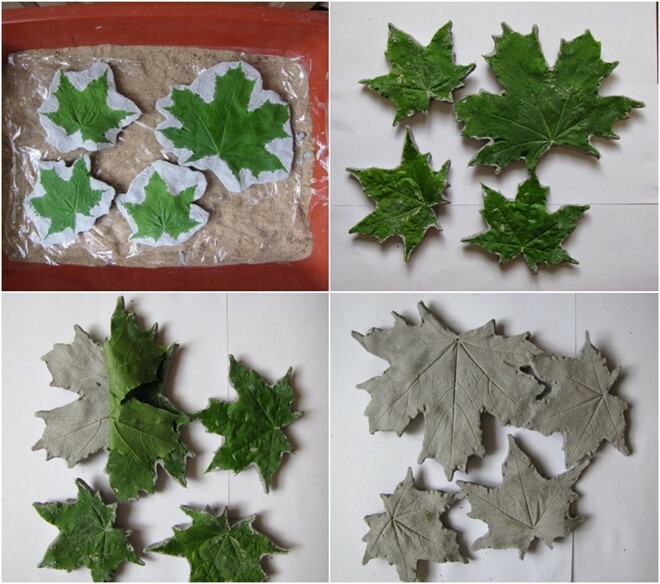 Make casts from gypsum from our plant material. Let them dry well and then peel off the fresh leaves. 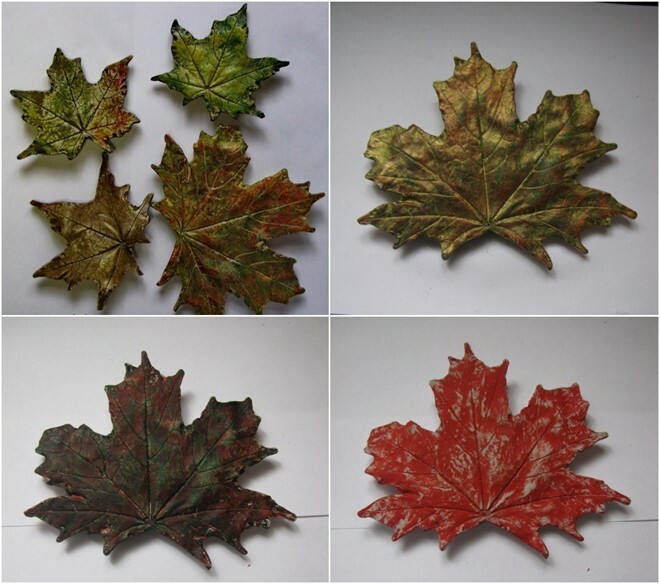 As a result, we get wonderful “copies” of leaves, very accurately repeating the slightest veins and other features of the texture of real leaves. And it took no more than an hour! And whether to color them or not is a matter of taste. Similarly, you can use not only gypsum, but, for example, concrete. 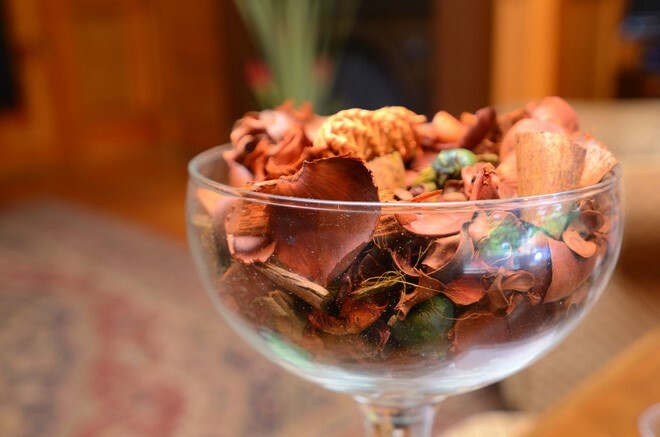 Fragrant potpourri in high vases, old aquariums and other transparent containers is another great idea for creating a cozy autumn atmosphere around the house. 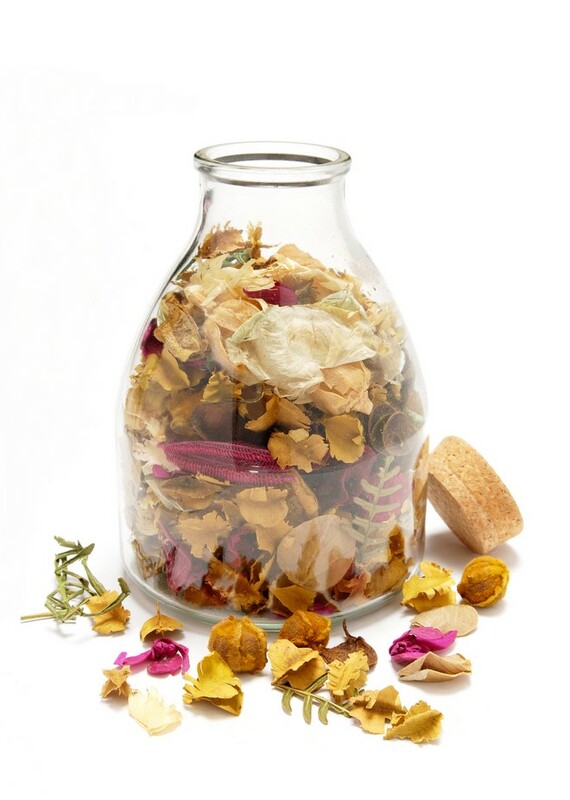 Potpourri is nothing more than a mix of dried flowers, fruits, herbs and essential oils. 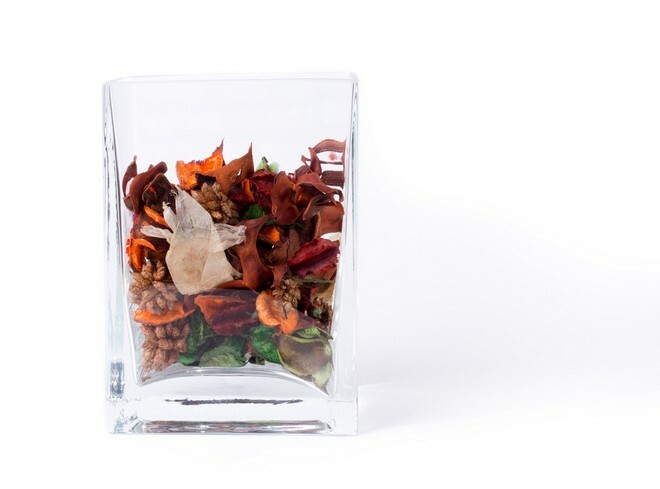 This mix of ingredients is poured into glass or wooden dishes and treated as a fragrant element of home or flat decoration. 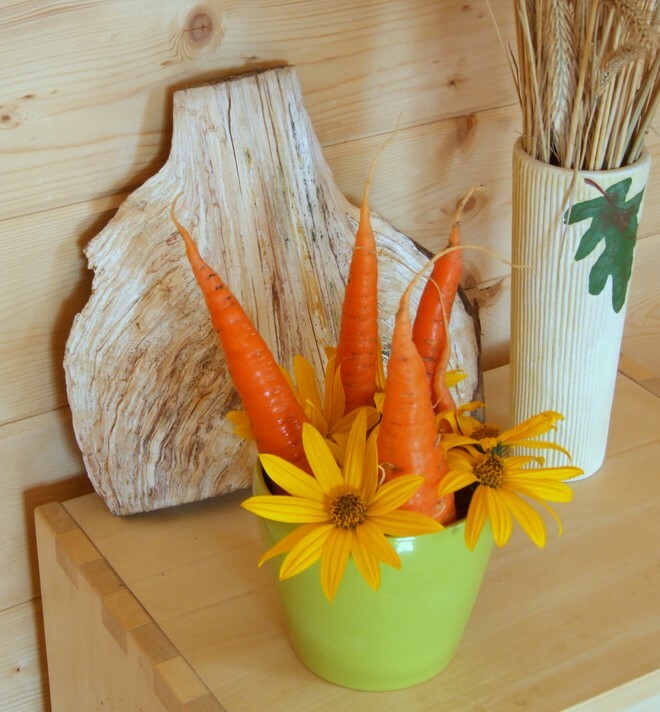 If you want to give the arrangement a more rustic or boho touch, choose a wooden bowl. Pleasant odors are also part of the atmosphere of a home. And it is better that they are natural, not synthetic. 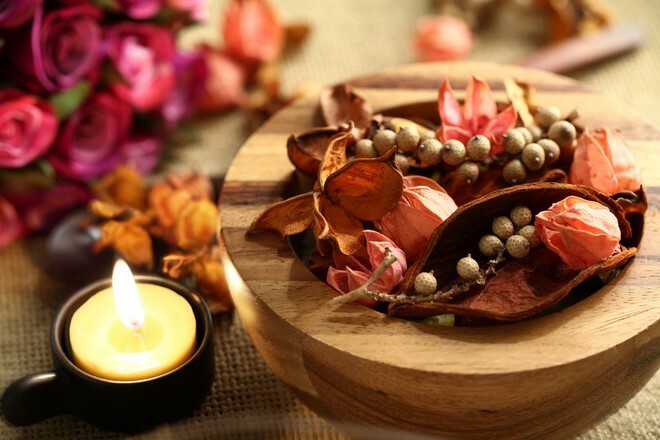 Usually, aromatic lamps with essential oils or aromatic sticks are used for this purpose. But they can be replaced, in a very unusual way. For example, use tree sticks, which certainly can be found in the surroundings of each garden. You need to dry stalks of perennial plants (including weeds, which are around in abundance). Suitable are for example coneflowers (Rudbeckia) and goldenrods (Solidago). Their stems keep fragrances for a very long time. Cut (or break) the stems into pieces of about 10-15 cm. You can leave several upper parts with inflorescences. Fold the stems and bind them with a hemp rope. 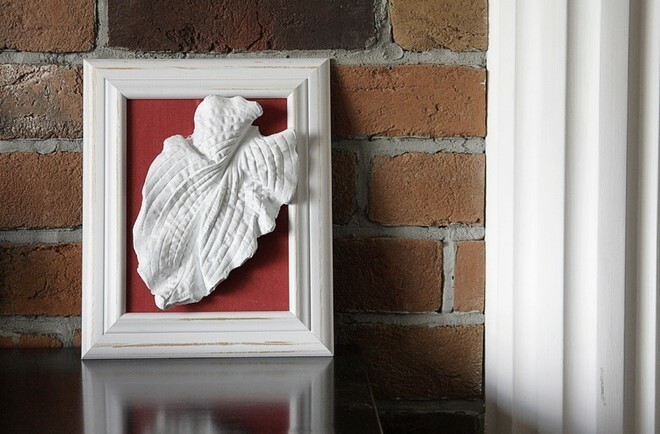 Depending on the shape, the bundle can be hung or put in a vase. 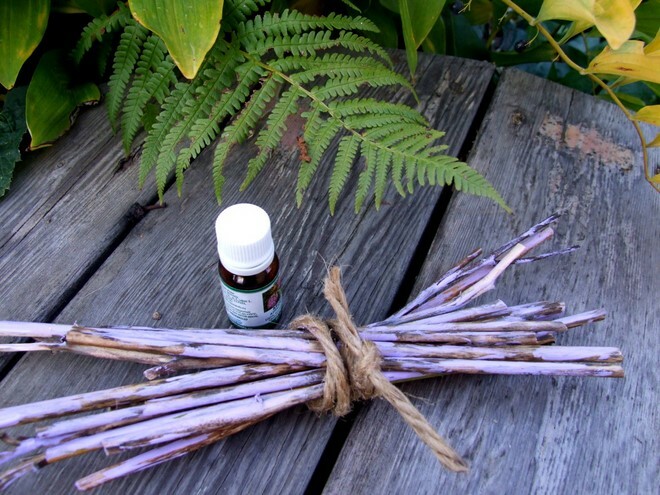 Take an essential oil and apply a few drops on the stems. The choice of flavor depends on your taste. 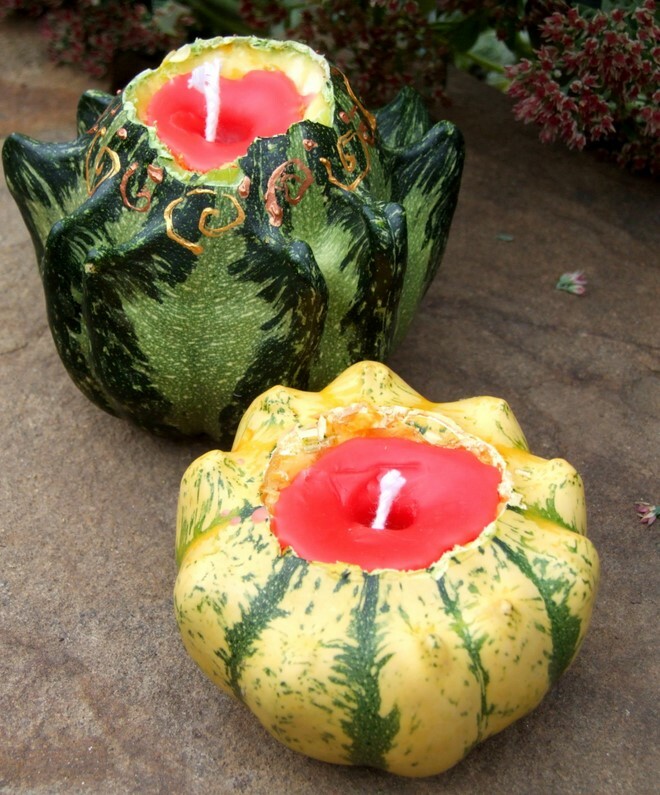 For making DIY candle holders, it is best to use gourds. They have a thick and strong skin and besides they are so cute! 1. 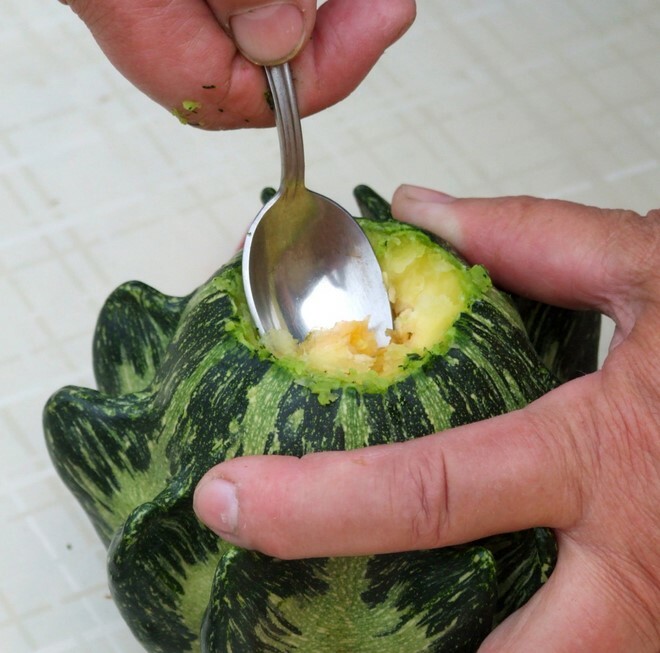 Take a sharp knife and cut the top of the gourd. 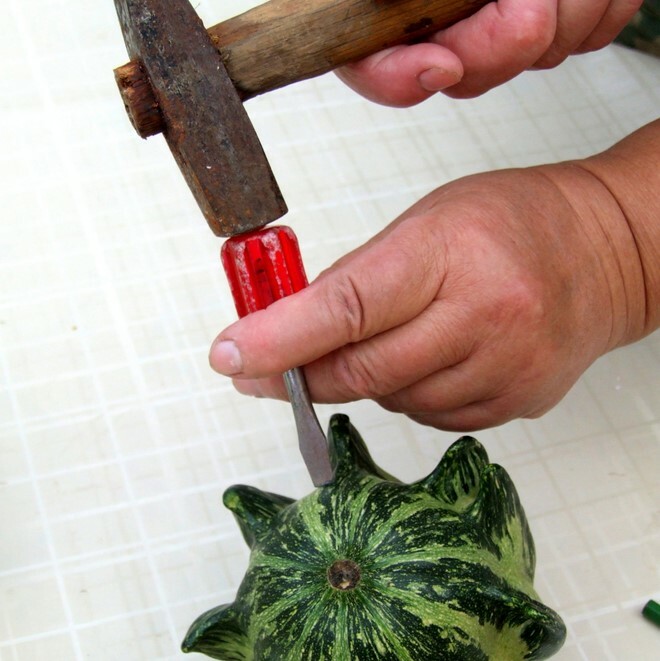 Make the cuts to make a hole in the gourd. You can use a hammer and a screwdriver, as well. 2. Now take a teaspoon with a sharp tip and carefully scrape the pulp out. 3. Insert the wick into the hole. Fix it by winding it around a wooden stick or a skewer. 4. Collect the wax of old candles. Chop or grate the wax on a grater, put it in a ladle and melt it on double boiler. 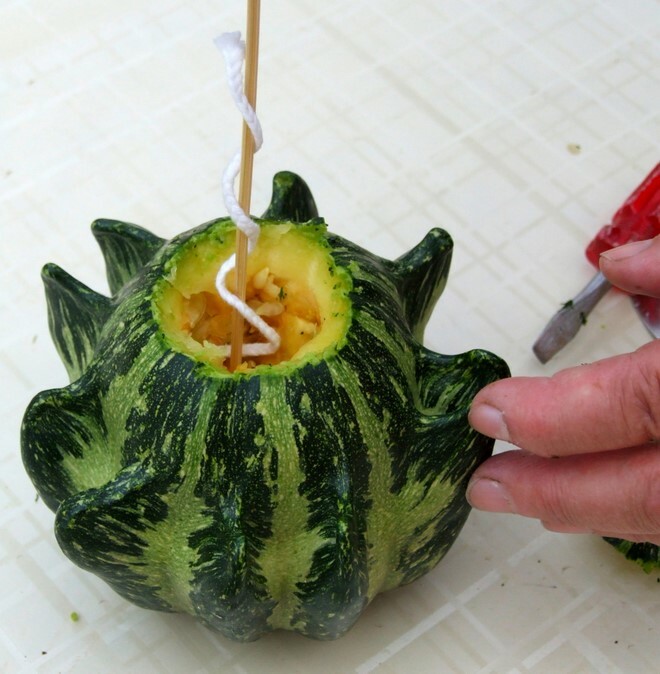 Now pour the melted wax in the gourd, making sure that the wick is not displaced, but remains in the center. Wicks can be either bought in advance or you can take them from old candles. Put the pumpkin on the cold window. There, the candle wax will harden quickly. 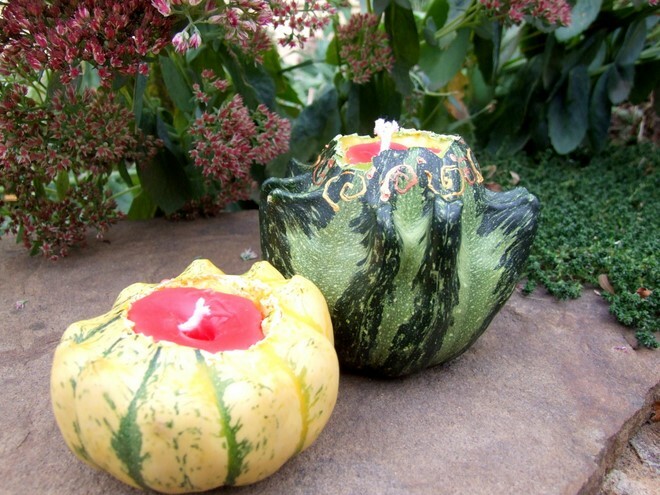 So your gourd candle is ready! 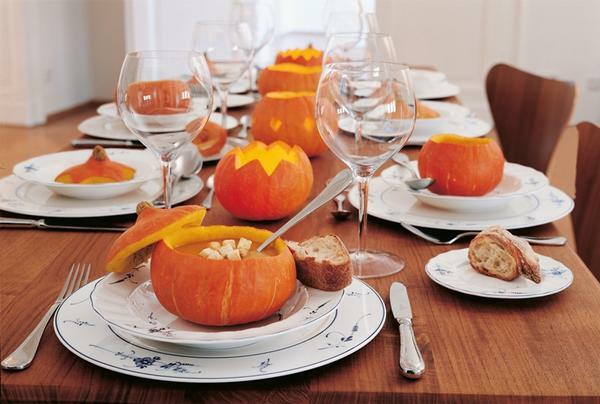 Instead of making Jack O’lanterns you can use hollowed out pumpkins and gourds for creating cups, bowls, salad bowls, stands for appliances or spices. You can serve soup or cool beer bottles – the options are really versatile. 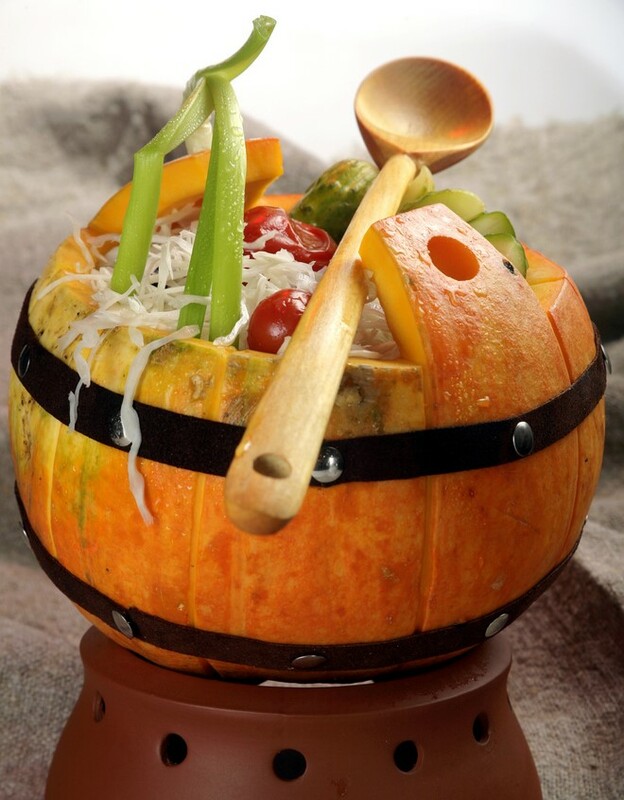 From a large pumpkin you can make a beautiful barrel to serve pickles or vegetable sticks. First, cut off the top as shown on the picture. Then peel off a small vertical sections from the pumpkin skin. 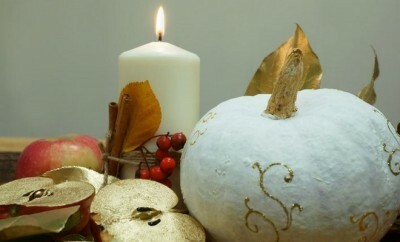 To make the barrel “hoops” use a black ribbon attached to the pumpkin with thumbtacks. It looks cool, right? 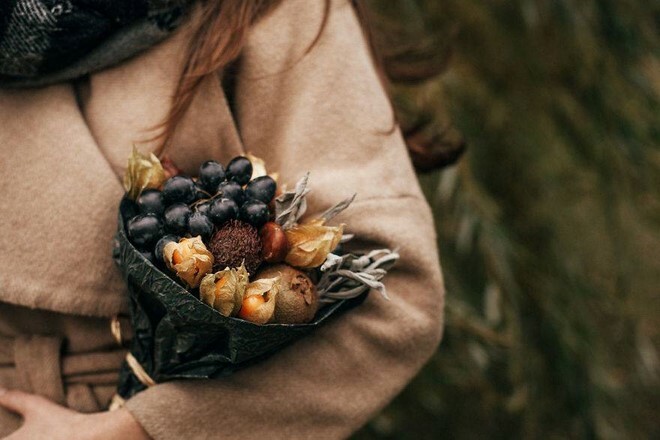 Let the abundance, beauty and pleasant aroma of the autumn season fill your house!